I missed you. I hope you missed silly old me. I got very sick of hearing my own voice and stopped writing the Foo Dog Blog about 20 months ago. Since then I’ve decorated and sold a wonderful vintage apartment on Chicago’s North Side, had a dang baby (!! — she’s awesome), and moved to an amazingly beautiful and historic suburb right on Lake Michigan north of Chicago, and am decorating our new house too. 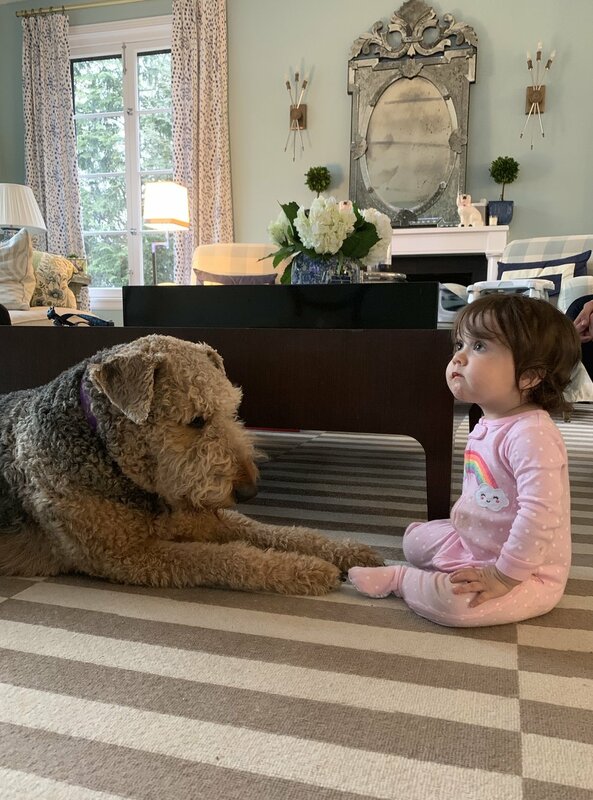 My daughter just turned one, I still have an insane Airedale, a gorgeous hub, and something was missing… ah, yes, the old Foo Doggy Dog. So let’s pick up where we left off, shall we? Sounds good.